You don't need to record the mileage of every single business trip. 1. Are Motor Vehicle Running Costs Tax Deductible? You can write off business driving on your taxes at a rate of 56.5 cents per mile as of 2013. The alternative is to claim the actual costs of business driving as a write-off -- gas, oil changes, repairs, licenses and insurance. Whichever way you go, you need records you can show the IRS if you're ever audited. If you want to go the actual-expenses route, you need receipts. You don't have to keep them for every single expense: If you drive a regular sales route, say, keep records for one month as a basis for the rest of the year. This works if you can show your business mileage is consistent. Keep records of deductible non-mileage expenses, such as repairs and insurance. If 60 percent of your driving is for business, you can write off 60 percent of your expenses. If you take the mileage deduction, you don't need to worry about receipts, but you do have to track your mileage. As with the actual-expenses case, if you drive the same amount of business each week, keeping track of every single trip is unnecessary. Another approach is to record your odometer reading at the start and end of the year, then write down your business and personal use for two weeks of every quarter. Figure the percentage of business use in the test periods and apply that to the year's total mileage. Receipts or mileage written in a log book don't prove anything by themselves. The IRS also wants to know why you put in the miles, to confirm your business trips were actually business. When you write down the miles driven, add in why you were driving -- client meetings, emergency supply run or whatever. If you use actual expenses, you still need a record of meetings and journeys to show how much of your expenses you can write off. If you have a company car you use only on business, it's easy -- 100 percent of everything is deductible. 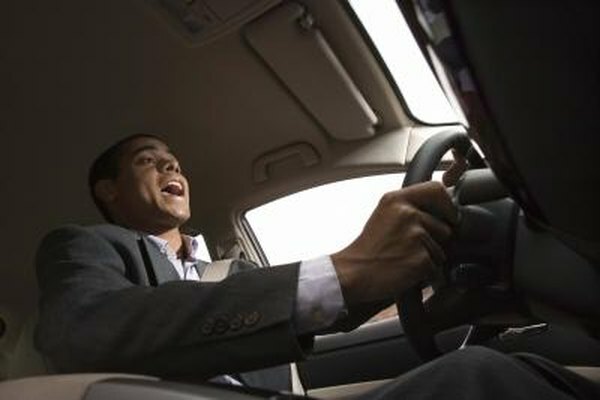 If you drive your car part of the time for personal use, the IRS may not buy it if you try to claim 100 percent of your car expenses as a write-off. Commuting from home to work isn't usually a write-off, so don't include that. You also can't claim personal trips just because you have work tools in the back seat or stick your business logo on the side of the car.